Anyone want to start up a topic about NEWER All Electric cars that are hitting the market ? I see that this section has been very dormant for a while. Nothing about new cars of all Electric coming out. I am interested in the Chevy Spark EV but they will ONLY sell in Cal/Oregon and you can not buy it and ship it elsewhere. Which is DUMB. Mitsubishi has one too, but not heard much about it as it isn't out just yet that I know of. VW is making a New Golf Electric but again there isn't anything out yet. Not even going to go into the $$$$ ones. THe Ford and Nissan need to come down on the prices for them to really sell better. AND they need to make more mileage for those of us that don't have fast chargers close by and in the SNOWY sections on the world (USA for me). True, but I know some have them personally here. I'll take this as a hint to start posting summaries of news about those cars. The Chevy Spark EV is what we call a "Compliance Car". These are cars the automaker builds just to sell in states that have Zero Emission Vehicle requirements, such as California. California law says car makers have to earn a given number of ZEV Credits in order to continue selling stinky gas burners. I've touched a Spark EV but not ridden in one, and they look like nice well-made cars. The Mitsubishi you're thinking of is the i-MiEV. They sold a few in 2012, skipped the 2013 model year, and now are back for the 2014 model year. I've driven one, and think it's a fun car, though the Reviews I've seen of the car make it sound like it's a slow boring ugly golf cart. I thought it was fun, fast, and looks cool. The price is affordable. Ford isn't really pushing the Focus Electric. 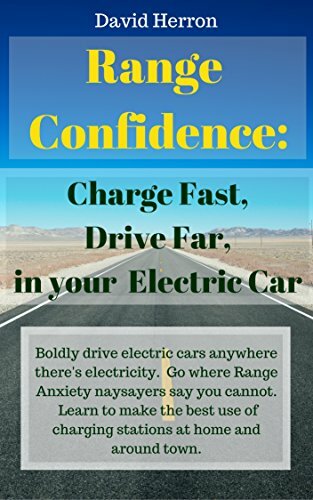 I wrote a review of one a couple years ago, and thought it is an excellent electric car. The biggest problem is they sacrificed trunk space for the battery pack. I got to talk with a top engineer on the Focus Electric (and C-MAX/Fusion Energi's) and it seemed from the conversation that Ford is waiting for a battery breakthrough so they can affordably offer more range. If we are not suppose to talk cars, why do we have a section for it ? I was hoping for a talk about the Electronics of it .. the batteries. You should have driven it, it is said to be a very Fast off the line fun car. It is suppose to be selling on the East Coast ZEV states in the next month or 2. Chevy is building their own battery not for the Spark EV. VW Golf EV, can't wait to see what then USA one will have.. and wonder how big the price tag would be.